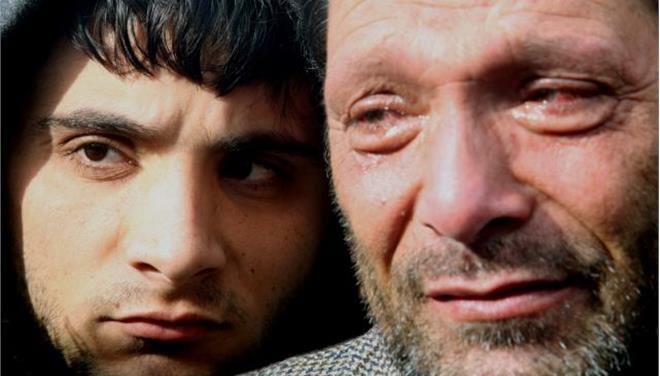 On January 20, 2014, three weeks after Greece assumed the Presidency of the European Union, a flimsy boat (as all such boats are) carrying a Turkish pilot and twenty-eight refugees from Afghanistan and Syria capsized in rough waters 5.5 nautical miles off the coast of Turkey, close to the disputed (by Turkey) island of Farmakonisi, while being hauled away by a Greek Coast Guard vessel. Twelve women and children are dead or missing. This much is known. The specific circumstances under which it capsized and the rescue operation are being bitterly disputed by the Greek state and the surviving refugees. The government maintains that the Coast Guard tried to rescue the boat when it became adrift in high waters and that the capsizing was caused by the movement of the passengers inside the boat when they realized that two of them had gone overboard. The refugees claim that this was no rescue but a push-back operation, where the Coast Guard was hauling the boat towards Turkey when it capsized. They are further claiming that rather than helping the castaways, the Coast Guard kicked them, pushed them, and disallowed their attempts to save selves and kin. Given the long and bloody history of the encounter of refugees, migrants, dissidents and the Greek state, there is no reason why anyone would dispute the version of the refugees. Let’s consider two points. First, the irony present in the encounter of the refugees with Farmakonisi. Farmakonisi, also known as Pharmakos, was named from the exquisite number of herbs found on it from which, legend has it, Hippocrates was sourcing his medicines. As everybody knows, though, pharmakon is the term for both medicine and poison. There are stories that mention that refugees who arrive to the coast of Turkey having paid upward of 6,000.00 euros to the Turkish agents and their Greek collaborators for the crossing, delight when they arrive to Farmakonisi because they (think that they) have arrived to Europe. They don’t know that whether they encounter a tragedy such as this one or they finally manage to arrive to Athens, or even move further, to France, Italy, Sweden, Europe will only mean poison for them. Because despite all grand promises, speeches, and overt gestures of hospitality there will come the moment when they will learn, deep on their skin, that they are unwanted, that whether Europe appears to be the medicine for the prolonged illness of colonization and imperialism it can never separate itself from its own poison. To repeat Malcom X “they might be friendly to you but you should never mistake them for being your friend”. Second is the point of Greek complicity in an international system of injustice. Taking the various shameful and shameless bilateral and European Union agreements into account, such as Dublin II and FRONTEX, and the global environment produced by the United States’ laws on migration, we recognize the global “war on terror” as really a global “war on migration” which is truly a biopolitics that seeks to regulate human movement only on the basis of the hypervalue that can be extracted from it. Therefore, Farmakonisi/ Pharmakos and the Aegean Sea that surrounds it become nothing more than the knot that ties together murderous cynicism, lethal ineptitude, and servile politics that produce this salt cemetery.